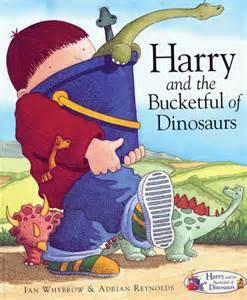 Our core book is “Harry and the Bucketful of Dinosaurs”. By Ian Whybrow and Adrian Reynolds. When Harry helps Nan to clear out the attic he makes a wonderful discovery-DONOSAURS! They go everywhere with him in his bucket. Then one day his beloved dinosaurs get lost! How will Harry prove, to the lost property man, that they are really his? We explored what toys we had in Reception and went on a toy hunt. We even used our sounds to read and write the words of the toys we found! We then looked at technological toys! We learned how to use batteries and how to operate them. We looked at toys from the past and found out that lots of them were made of wood. We found our toys were lighter and made out of plastic. We also use more computer games. We found all of this out from our home learning after talking to our parents and grandparents about their toys when they were little. (photos to follow). Watch out for dates for our learnatics sessions! Fun, interactive sessions for parents to come and watch their children learn.